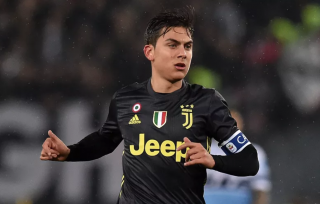 Manchester United could be given a boost as it looks as though Juventus may struggle to get Paulo Dybala back from injury in time for Tuesday night’s Champions League encounter. The Reds host the Serie A champions in what will be a hugely challenging match regardless of what Massimiliano Allegri has available, though it looks like they may have to do without one of their most creative players. READ MORE: Combined XI: Chelsea v Man Utd – Who joins De Gea and Hazard in 3-4-3 system? The Mirror claims Dybala picked up a knee injury on international duty with Argentina, and the club are now set to assess him when he returns to Italy. 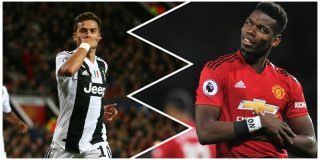 Dybala would be a threat for United’s defence, which has struggled all season, but it’s not as if they haven’t got other brilliant attacking players. Cristiano Ronaldo and Mario Mandzukic should feature in their weekend clash with Genoa. Juventus’ front three of Dybala, Mandzukic and Ronaldo seem to be striking up an understanding in attack having combined for nine goals already this season. 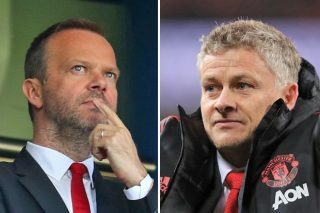 United have just one win in their last five games and will hope their dramatic victory over Newcastle before the international break can restore confidence in the squad, especially with an away trip to Chelsea on Saturday. 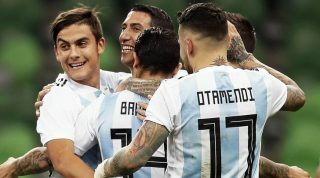 The Argentine forward has been linked with a move to Old Trafford on a number of occasions and is said to be very close with United midfielder Paul Pogba from the time they spent together as teammates in Turin.